Bucharest (“Little Paris”), on the banks of the river Dâmbovița, is the largest city in Romania and has been the country’s capital since 1862. Bucharest offers a most unusual collection of architecture consisting of a mix of modern, Art Deco, neo-classical, Bauhaus and Communist-era building styles. Since leaving the Soviet bloc, Romania has been experiencing a cultural and socio-economic revitalisation, nowhere more apparent than in Bucharest. The city’s good shopping, nightlife, culture and education facilities make it very popular with locals and visitors alike. Bucharest was the summer residence of the Royal court well before becoming capital. It was burned down by the Ottomans during the 17th century, then rebuilt and it became a crucial trading centre and seat of the Wallachian court by the 18th century. Following several re-builds in the next 200 years, having suffered a plague in 1814, being freed from the Turks by the Habsburgs, occupied by Imperial Russia then an Austrian garrison and consumed by a major fire that destroyed about a third of it, Bucharest eventually re-emerged as capital when Wallachia and Moldavia joined forces and formed the Principality of Romania. Upon becoming capital, a period of great urban development began. This included the introduction of horse-drawn trams, the installation of gas lighting and electrification and the building of flood defences. 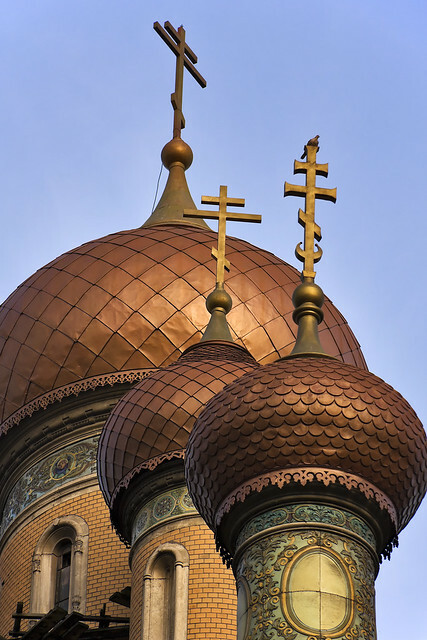 Great cultural advances coinciding with an explosion in the arts, combined with the rich architectural styles of this period and made Bucharest second to Paris in Europe. Despite the various ugly political periods and acts of wanton destruction since then, culminating in the anti-Ceaușescu protests and the Romanian Revolution of 1989, Bucharest has retained much of its heritage and atmosphere to date. The central Lake Cișmigiu and Gardens provide welcome respite from the summer heat. Also worth visiting are some of the lakes along the Colentina River (Colentina, Herăstrău, Floreasca and Tei) in the city’s north. 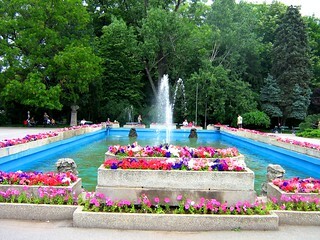 Herăstrău Park and the Botanical Garden. 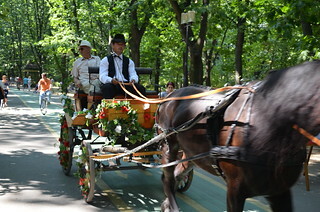 Getting around is easy and one of Bucharest’s most outstanding features. The cheap and extensive public transport system, consisting of the Bucharest Metro, buses, light rail, trams and trolleybuses is excellent and will get you anywhere in the city. The national railway network (main station Gara de Nord) connects to all of Romania and internationally, e.g. Serbia: (Belgrade), Bulgaria: (Sofia), Ukraine:( Kiev ) and Austria: (Vienna).